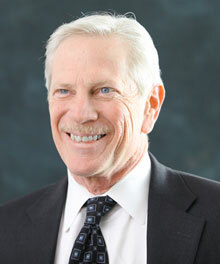 Frank Zawitoski brings more than 40 years’ experience in general construction and contracting to the Biscayne family. This includes a ten-year period before Biscayne where he served as Vice President and President of two separate electrical contracting firms in Maryland. Joining Biscayne in 1989, Mr. Zawitoski added his prior federal contracting experience to Biscayne’s initiative and business plan to develop government contracts and was instrumental in the successful pursuit, award, and performance of the many IDIQ, MACC and Term Contracts which have become the building blocks of Biscayne’s success. These long-term, federal relationships include the US Postal Service, the US Navy, General Services Administration, NASA, the Smithsonian, FBI and other agencies in the mid-Atlantic area. As Vice President, he is directly responsible for all pre-construction activities including bid selection, proposal assembly, and submission. His post award responsibilities include: subcontract buy-out and issuance of subcontract documents as well as oversight and authorization of contract and subcontract revisions, modifications and changes. As a critical member of the Executive team, he works closely with the President and Project Executive in decisions regarding overall management and direction of Biscayne. He maintains active security clearances including sensitive, secret, and top-secret classifications from all of the agencies for which the company has under contract. Born and raised in Baltimore, Mr. Zawitoski attended local schools and received a BA from the University of Maryland prior to full time entry into the construction business for companies in Maryland. He relocated and currently resides in Alexandria, Virginia with his wife, natural son and adopted daughter.